We aim to create sustainable value for shareholders by investing strategically and growing our asset management business. as compared to $195m for FY 2015.
as compared to $185m for FY 2015. Completed the restructuring of the Group’s asset management businesses under Keppel Capital. Achieved first closings of two new private equity funds, Alpha Data Centre Fund and Alpha Asia Macro Trends Fund III. Keppel REIT divested 77 King Street in Sydney, Australia. Keppel DC REIT added three data centres in Italy, the UK and Singapore to its portfolio. KIT completed the capacity upgrade for Senoko WTE plant on budget and ahead of schedule. Keppel Capital will grow the Group’s asset management platform by creating real assets in infrastructure and real estate. k1 Ventures will focus on managing existing investments to drive shareholder value and distribute excess cash when investments are monetised. M1 will continue building up its capabilities to capitalise on new opportunities. KrisEnergy will focus on maintaining production and maximising efficiencies. Following the completion of the restructuring of our asset management businesses under Keppel Capital, the Investments Division now mainly comprises Keppel Capital, as well as the Group’s investments in k1 Ventures, M1 Limited, KrisEnergy and the Sino‑Singapore Tianjin Eco‑City (Eco‑City). The Investments Division generated a revenue of $134 million for FY 2016, a decrease of $61 million or 31% from the previous year. The Division’s pre‑tax profit was $83 million, down $124 million or 60% from the previous year. This was mainly due to share of losses from KrisEnergy and lower share of profit from k1 Ventures, partially offset by the share of profit from the Eco‑City. Accordingly, the Division delivered a net profit of $36 million for FY 2016, which represented 4% of the Group’s total net profit for the year. This was down from the net profit of $185 million for FY 2015. In July 2016, we completed a significant restructuring exercise to consolidate our interests in the Group’s asset management businesses under Keppel Capital. This includes 100% interests in Keppel REIT Management Limited, Alpha Investment Partners Limited (Alpha) and Keppel Infrastructure Fund Management Pte Ltd, as well as a 50% interest in Keppel DC REIT Management Pte Ltd.
As a larger and integrated fund management platform, Keppel Capital had total assets under management of approximately $25 billion in real estate, infrastructure and data centre assets as at end‑2016. Following the restructuring, Keppel Capital launched two new private equity funds – the Alpha Data Centre Fund (Alpha DC Fund) and Alpha Asia Macro Trends Fund (AAMTF) III – which secured initial commitments of US$410 million out of a combined target size of US$1.5 billion. Keppel REIT Management and Alpha continued its proactive asset management and value creation initiatives, as well as strategic acquisitions and divestments. 2016 was a difficult year for the office market. Notwithstanding the challenges, Keppel REIT Management continued its rigorous leasing efforts, which saw the REIT maintaining a high tenant retention rate of 95% and portfolio rate of 99.2% as at end‑2016. To maximise and capture value for Unitholders, Keppel REIT divested 77 King Street in Sydney, Australia, in January 2016. Looking into 2017, Keppel REIT expects minimal leasing risks with only 3.9% and 1.7% of leases due for renewal and review respectively. During the year, the third fund in the AAMTF series, the AAMTF III, was launched in response to demand from existing investors, and acquired its first office asset in Tokyo. With a target size of US$1.0 billion, AAMTF III is well‑positioned to capture attractive returns by investing in multi‑asset classes across key gateway cities in the region. In 2016, Alpha divested a total of 14 assets across Singapore, China and Japan generating good returns for its investors. These included the divestment of Life Hub @ Jinqiao in Shanghai through AAMTF II, which realised an internal rate of return (IRR) of over 20% on the sale of the development, as well as the divestment of its Singapore suburban retail portfolio which achieved an IRR of over 50%. Keppel DC REIT remains committed to its pursuit of accretive acquisitions that complement and strengthen its existing portfolio. In 2016, Keppel DC REIT announced three acquisitions including investments in two new markets, Milan in Italy and Cardiff in the UK, as well as the acquisition of a 90% interest in Keppel DC Singapore 3. These strategic additions expanded the REIT’s geographical footprint and enhanced income stability for the portfolio. 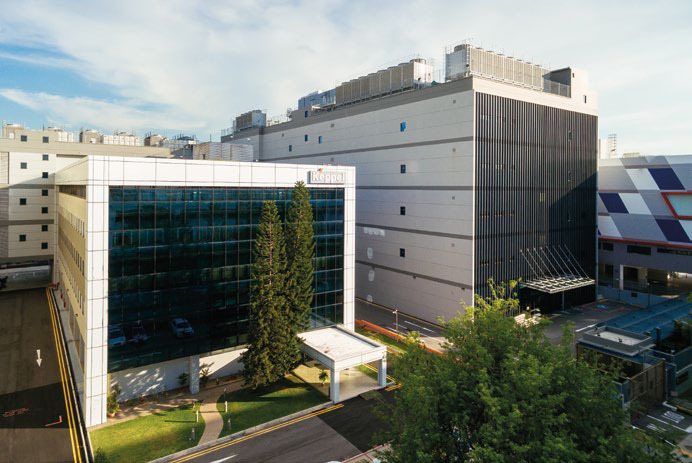 During the year, Keppel DC REIT acquired a 90% interest in Keppel DC Singapore 3, strengthening its footprint in the key data centre hub of Singapore. The newly‑launched Alpha DC Fund is a collaborative effort between Alpha and Keppel Telecommunications & Transportation (Keppel T&T). The Alpha DC Fund has a target fund size of US$500 million and is the first of its kind in Asia. Riding on Keppel T&T’s expertise and strong development track record, the fund offers financial investors the opportunity to participate in the fast‑growing data centre sector. The Alpha DC Fund acquired its first data centre in Frankfurt, Germany, Europe’s key internet exchange. The Alpha DC Fund is a showcase of how the Group’s diverse businesses and expertise can be harnessed to develop high quality real assets that create value for investors. In September 2016, Keppel Infrastructure Trust (KIT) completed the capacity upgrade of the Senoko Waste‑to‑Energy (WTE) Plant on budget and ahead of schedule. This raised the contracted incineration capacity of the plant by 10% to 2,310 tonnes per day, thereby increasing the corresponding capacity payment from the National Environment Agency of Singapore. In Singapore, KIT’s concessions met all their contracted availability and delivery requirements for the year. City Gas continued to provide safe, reliable and clean energy solutions including a variety of energy‑efficient gas applications to its broad customer base in Singapore’s residential, commercial and industrial segments. 1‑Net Singapore commenced its 20‑year triple net lease agreement following the successful handover of the 1‑Net North Data Centre by KIT. In Australia, the Basslink Interconnector went out of service due to a subsea cable fault in December 2015 and resumed full services in June 2016. Synergies derived from increased scale, improved operational efficiencies, sharing of best practices and better talent recruitment and retention will place Keppel Capital’s asset managers in a stronger position to grow and improve their business performance. 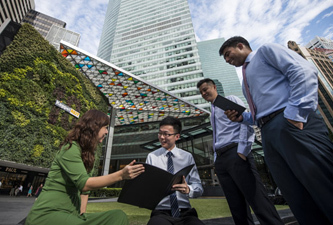 Keppel Capital will play a key role in working with business units across the Keppel Group in developing, owning and operating real assets, while providing an effective capital recycling platform, as well as access to a broader base of capital through co‑investors. Keppel Capital strives to be the trusted partner for investors, and will continue to seek growth opportunities while maintaining its proactive asset management approach to increase returns from its real estate, infrastructure and data centre assets under management. k1 Ventures (k1) is an investment company with interests in real estate and financial services. For the financial year ended 30 June 2016, k1 reported revenue of $195 million, an increase from $61 million in the previous year. This was driven by investment income from Knowledge Universe Holdings (KUH) of $175 million attributable mainly to the receipt of cash distributions from the sales of the US and international childcare operations. k1’s profit before tax was $144 million for the year ended 30 June 2016, compared to $32 million in the prior year. EBITDA of $144 million was $99 million above the prior year, driven by investment income from KUH. Net profit attributable to shareholders for the year ended 30 June 2016 was $141 million compared to $25 million in the previous year. For FY 2016, k1 paid out $162 million through dividend and capital reduction distributions. In June 2016, k1’s interest in the remaining assets of KUH, which consisted of the net cash reserves and the real estate assets, was restructured as a result of the sale of the operating businesses. Consequently, k1 no longer holds an interest in KUH except for a direct pro‑rata interest in the real estate holding company, KUE 3 LP, in addition to a contractual right to receive k1’s pro‑rata share of the net cash reserves that will ultimately be distributed. The company’s Put Right for the real estate investment has been extended until 31 March 2017. During the year, k1 continued to earn a 7% annual cash dividend on its Preferred Units held in Guggenheim Capital. k1 will continue to focus on actively managing its existing investments with the goal of monetising them when appropriate, and distributing surplus cash to enhance shareholder value. As at end‑2016, M1’s total customer base has grown to 2.18 million. During the year, M1’s mobile customer base increased by 5% to 2.02 million while fibre customers increased by 25% to 160,000 from 2015. Its overall market share increased to 23.8% as at end‑November 2016, compared to 23.4% as at end‑2015. In 2016, M1 continued to focus on customer service, innovation and value to further entrench M1 as the service provider of choice. Its newly‑launched Entertainment Data plan and Upsized Data package are specifically catered to the heavy data users of today. M1 also expanded its unique M1 Data Passport service for customers to use their local data bundles to 48 overseas destinations as at end‑2016, an increase from 29 destinations a year ago. To further enhance the customer experience and cater to the existing and future needs of its customers, M1 began Singapore’s first commercial Heterogeneous Network (HetNet) deployment in 2016. During the year, M1 participated in various Smart Nation trials in Singapore and continued to invest to test and deploy new technologies. In the corporate segment, M1 partnered Ascendas‑Singbridge in Singapore’s biggest fibre upgrading project, installing and enhancing fibre infrastructure at 70 Ascendas‑Singbridge commercial buildings to allow the tenants to enjoy expedient access to fibre broadband services. It also launched a selection of new corporate managed services such as the M1 Cyber Security Solutions Suite, Hosted Unified Communications solution, and SOHO fibre plan bundled with business solutions, to further enhance its connectivity solutions. M1 will continue its transformative journey to become a Smart Communications Provider, building up a portfolio of information and communications technology, as well as digital solutions enhanced with data analytics, to capitalise on new opportunities. Trading conditions for KrisEnergy remained challenging in 2016. The rout in oil prices in 2014 and 2015 continued in 2016 when markets witnessed significant fluctuations. Brent crude oil futures, a global benchmark, swung from a low of US$27.88 per barrel in January 2016 to a 52‑week high in December 2016 at US$56.82 per barrel. Despite a modest recovery in the price of crude oil in the later part of 2016, confidence in the sector remained fragile. In addition, uncertainty regarding the magnitude of any further recovery as well as its sustainability continued to plague the market. The cumulative effects of the precipitous drop and subsequent volatility in oil markets had a significant impact on KrisEnergy’s operations, financial condition and prospects. This includes the company’s traditional strategy of financing investments in projects through an optimal funding mix of cash flow from operations, as well as debt and equity finance. KrisEnergy reported a net loss after tax of US$237 million in FY 2016 despite doubling revenues to US$143 million for the period. This was mainly due to non‑cash charges for impairments on producing assets, write‑offs related to relinquished contract areas and depreciation, depletion and amortisation, as well as higher financial costs. During the year, KrisEnergy’s working interest production averaged 16,136 barrels of oil equivalent per day, an increase of 67% from FY 2015, and is the highest annual average in the company’s history. The increase resulted from higher production at the B8/32 and B9A oil fields in the Gulf of Thailand, as well as a full year of production at both the Wassana and Nong Yao fields in the Gulf of Thailand. As at end‑December 2016, working interest for proved plus probable (2P) reserves were estimated by Netherland, Sewell & Associates, Inc (NSAI) at 96.6 million barrels of oil equivalent (mmboe), a slight decrease from 105.9 mmboe in 2015. The decline is associated with lower oil price forecasts impacting the Wassana and Nong Yao oil fields in the Gulf of Thailand, as well as a downward adjustment for the Wassana field to account for lower production and performance. In addition, NSAI recognised best estimate contingent (2C) resources of 150.8 mmboe as at 31 December 2016. An increase in KrisEnergy’s working interest in the Cambodia Block A development block from 52.3% to 95.0% boosted resources for the asset to 9.8 mmboe from 5.4 mmboe as at 31 December 2015. In November 2016, KrisEnergy launched a financial restructuring process based on a revised business plan. The plan is focused on maintaining existing production rates and enhancing operational efficiencies, as well as the execution of development projects in the Gulf of Thailand and Indonesia to eventually increase production and future cash flow. A Consent Solicitation Exercise to extend the maturity dates by five years, among other terms, for KrisEnergy’s issued debt was successfully concluded in December 2016. Subsequently, gross proceeds of $139.5 million were raised in February 2017 from a preferential offering of senior secured debt with detachable warrants, in which Keppel Corporation’s wholly‑owned subsidiary Keppel Oil & Gas Pte Ltd, had successfully subscribed for 107,205,985 Notes with 964,853,865 Warrants, pursuant to an irrevocable undertaking. In line with the revised business plan, steps are underway to rationalise KrisEnergy’s asset portfolio to reduce risk and raise additional financing through farm‑out and potential divestment transactions, as well as relinquishing assets judged to be non‑core. While the immediate focus of operations is on maintaining existing production and near‑term developments, KrisEnergy will retain exploration assets that do not require any significant funding in the next two to three‑year period. The Eco‑City is on track to realising its vision of becoming a model for sustainable urbanisation, since breaking ground eight years ago. To date, there are over 70,000 people working and living in the Tianjin Eco‑City and over 4,500 registered companies1. The Sino-Singapore Tianjin Eco-City is on track to realising its vision of becoming a model for sustainable urbanisation. Leading the Singapore consortium, Keppel works with its Chinese partner to guide our 50‑50 joint venture – the Sino‑Singapore Tianjin Eco‑City Investment and Development Co., Ltd. (SSTEC) – in its role as master developer of the Eco‑City. 2016 saw significant progress in the provision of key amenities in the Eco‑City. With the opening of seven new schools during the year, the Eco‑City now has 14 schools with over 7,000 students. Two neighbourhood centres, a general hospital and a sports hall have also commenced operations. Adding to the amenities of the Eco‑City, construction has started on five additional schools, three commercial complexes, two healthcare centres and a lifestyle centre. The Z4 rail line, which will enhance the Eco‑City’s connectivity to other parts of Tianjin, also commenced construction in 2016. Over 6,300 homes were sold in the Eco‑City in 2016. Of these, SSTEC’s projects sold 1,541 homes, achieving a 27% increase in average prices as compared to 2015. Reflecting the improved home sales, land sales also improved significantly in 2016. In July 2016, two residential plots were transacted at a land price of around RMB 8,000 per square metre (sm) of gross floor area (GFA), more than three times the price of similar land sold earlier in the year. In response to the rising price of homes and residential land, the Tianjin government has implemented new cooling measures to allow the residential market to grow at a sustainable pace. The full impact of the cooling measures will take a while to be seen. In 2017, SSTEC will focus on the next phase of development in the Central District where the joint venture will start work on two residential projects. To enhance amenities in the Eco‑City, the local government is developing new iconic projects, such as the Sino‑Singapore Friendship Garden and the Sino‑Singapore Friendship Library, as well as neighbourhood and lifestyle centres. The Sino‑Singapore Tianjin Eco‑City Joint Working Committee, co‑chaired by Singapore’s Minister for National Development Mr Lawrence Wong and Chinese Minister for Housing and Urban‑Rural Development Mr Chen Zhenggao, met in April 2016 to affirm the good progress achieved and endorse plans in preparation for the Eco‑City’s tenth anniversary in 2018. In 2016, Keppel Land China sold 685 homes in the Eco‑City. As at end‑December 2016, Seasons Park had been fully sold and Seasons Height had sold all of its 64 launched units. Meanwhile, almost all of the 596 launched units in Seasons Garden, as well as about 98% of the 285 launched units in Waterfront Residences had been sold. In the commercial space, Seasons City is currently under construction and its first phase is expected to be completed in 2019. When fully developed, the commercial development will add about 161,800 sm of GFA to the Eco‑City. Apart from Keppel Land, different businesses within the Keppel Group are contributing to the Eco‑City’s development. Keppel T&T’s logistics distribution centre in the Eco‑Industrial Park commenced operations in 2H 2016. Keppel Infrastructure’s district heating and cooling system plant has been operating well since 2013. During the year, the company completed the upgrading of its wastewater treatment plant which is now able to treat up to 100,000 tonnes per day of wastewater. Meanwhile, its water reclamation plant is currently undergoing commissioning and is expected to commence operations in 2017. 1 These figures include the Tourism District and Central Fishing Port.